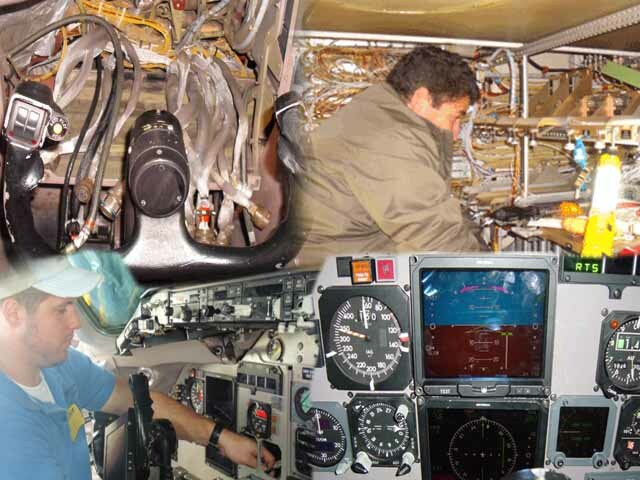 Avionics Group, Inc. advanced engineering capability is a significant value-added service we offer to our customers. We engineer solutions when it comes to interfacing new technology with existing equipment. We work with the latest systems to provide increased safety and cockpit awareness. We have years of design and engineering experience to produce high quality, professional wiring diagrams. Our wiring diagrams provide clear, concise and professional instructions to the installers that completes the job in the field. A complete documentation in paper and electronic form (CD) including all wiring diagrams and documents that may have been generated during the job will be provided at the end of each project, allowing for permanent record-keeping, FAA traceability and future troubleshooting. An FAA Form 8110-3 will be provided at the end of the project after all wiring diagrams and documents are reviewed and approved by an Electrical and/or Structure DER. Long-term reliability, servicing, and repair are extremely dependent on a good installation. Avionics problems can be built in at the time of installation if the work is not performed correctly. Our installation department provides a full range of Avionics installation services including systems integration, design and certification, wire harness fabrication, and system installation and testing. Our installation team, comprised of licensed A&P mechanics and FCC technicians, supports the engineering department in delivering a true Single Source Solution to the customer. Our Single Source Solution provides a direct reduction in overall project time and cost savings. Copyright © 2011 Avionics Group/Jose Sevilla.